A great new re-make using very select parents from Bear Nursery in Taiwan ! Mr. Bear has mated Paph. micranthum ‘Bear-85’, as the pod parent, with a beautiful deep yellow Paph. hangianum, resulting in a compact and easy grower. 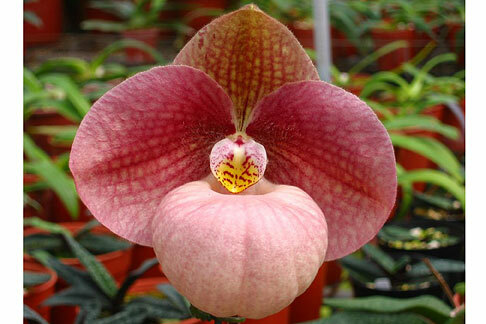 Pleasingly full segments and rich color make this a “must have” for any premier Paph. collection !